Families believe the nursing home’s promise to provide care to a loved one. Families become aware of the lack of care or neglect causing an injury – a fall, a pressure sore, an assault, and on and on. Families ask questions of the nursing home management and encounter a cover up. Families seek an attorney to get answers as to how and why their trust was betrayed. Nursing home care is big business with big amounts of money involved. Nursing homes know that demographics are in their favor – the baby boomer population needs assistance caring for their aging parents. The sheer mass of the baby boomer population drives our culture. In the not so far distant future, the baby boomers may need care themselves. Today is my birthday. My view of aging has changed dramatically in the last 10 years. Could a nursing home be in my future? In yours? Nursing homes promise loving attention, engaging activities, quality staffing, and devotion directed to the nursing home resident. The realities are different in some facilities. Chronic understaffing, rapid turnover of nursing assistants, tired professional nurses, and deliberately putting profits before care can result in neglect and injury. Plaintiff attorneys who take on nursing home cases soon learn the regulatory environment is very different from hospitals. There is a lot of information available about a facility from surveys that document their compliance with federal and state regulations, written citations and requirements for correction. “But they don’t feel pain”, the defense attorney says. Not so. The pain and suffering of a person with Alzheimer’s is no less acute. We do not lose our ability to feel pain as we age. We sometimes lose our ability to express it. 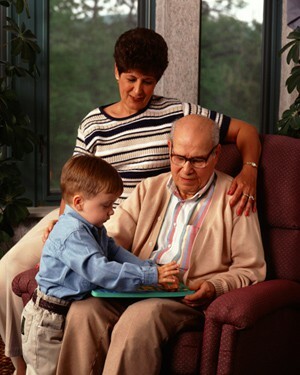 Medical staff are trained to evaluate the behavior of the nursing home resident, to look for non-verbal signs of pain. The damages associated with nursing home cases focus on themes of broken promises and helpless elderly people injured by neglect. It can be a potent combination. Med League supplies well-qualified nursing home experts to review nursing home cases under litigation. Call us for assistance.